Adam Bell is a glum professor who has grown disinterested by his ordinary life. When Adam discovers a man who appears to be his double, the identical men meet and their lives become bizarrely and hauntingly intertwined. 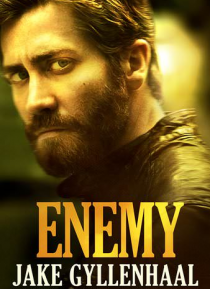 Gyllenhaal is transfixing playing both roles, journeying through a world both familiar and strange. The film's final and unnerving image will not be soon forgotten by audiences. In… the end, only one man can survive.